That said, this book not only tells the story of Oscar de Leon, but also recounts and comments upon the struggles of his mother and grandparents, who lived in the Dominican Republic under the dictator Rafael Trujillo in the 1930s, 40s, and early 50s. 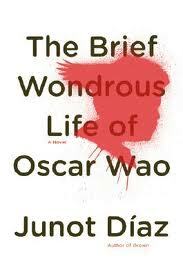 For all of this book's wondrous qualities, it is largely the tone of its first-person narrator, Yunior de Las Casas, that gives this book its magic. Yunior’s constant mixture of formal prose and expletives (both Spanish and English), along with his brute commentary and extensive footnotes, makes for an extremely charismatic and original voice. Further, his sense of humour and latent nerdery lead him to frame his storytelling through constant allusion to comic books, fantasy and science fiction novels, and role-playing games, artifacts of North American culture that take on a new life when filtered through the language of Dominican diaspora. Another one I'm going to have to take another shot at. I tried to pick it up a while on Ross's recommendation but couldn't get into it. Maybe I was in the wrong mindset, because this sounds fantastic the way you describe it. 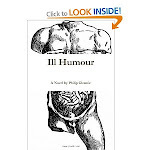 Buy my novel "Ill Humour"